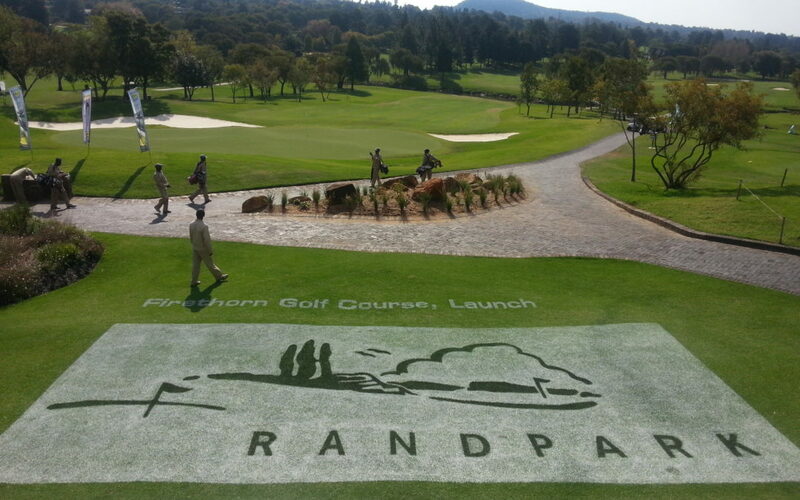 The radical transformation of Randpark’s renowned Firethorn course, which has hosted two South African Opens and many other tournaments, is complete! There are seven brand new holes, 18 new greens and greens complexes moulded into shape by internationally acclaimed course shaper Alex Ligowski, major changes to the bunkering have been undertaken, the river that runs through the course has been cleaned up and refurbished, and alien vegetation removed to the point where Firethorn is an eco-friendly ‘green lung’. “Essentially, the old Firethorn needed a facelift, the course features were dated and greens and bunkers were more than 20 years old,” says course designer Sean Quinn. “Many of the greens were unnaturally perched, which was the style in the 1980s and early 1990s. The high sand bunkers although impressive, were extremely problematic to maintain, particularly during the stormy summer months. “The river flowing though the property was a massive engineering nightmare, it continually eroded and was completely overgrown with alien trees to the extent is was not visible in many places other than the opening and finishing holes. Randpark’s director of golf Mellete Hendrikse feels two of the best holes are the new par-5 second, with the river running alongside the entire length of the hole, and the par-4 sixth which has a distinctly US Open course look about it. Quinn believes it will prove a very user friendly course, as long as the correct tees are used for the level of play. Many of the old fairway bunkers designed back in the early 1990s were too much in play for shorter players and way out of play for the longer players. So the Golf Data team moved the fairway bunker strategy out about 15-20 metres on average, in a bid to make the course fairer. “A priority throughout the design and construction process was to provide players with options on every hole,” says Quinn. “It’s very much a risk/reward design philosophy, and entirely feasible for players to steer away from trouble; but to score well, one must take on an element of risk. We have tried to limit forced carries from the forward tees. Firethorn’s old par-5 18th hole has been transformed into a long par-4, a tough hole that will make for a demanding finish to the round. It is stroke one on the card. Quinn has been a Jack Nicklaus designer since 2004, but held a dual design role with Golf Data until the end of 2013. He is now fulltime with Nicklaus. In South Africa, on behalf of the Golden Bear, he has designed St Francis Links, Serengeti, Houghton and more recently Steyn City. Overseas he was involved with the Australian Golf Club which hosted last year’s Australian Open. For Golf Data, amongst numerous other courses, he has redesigned Parkview, Country Club Johannesburg (Woodmead and Rocklands), Durban CC, Glendower, Humewood and a few others. Three years ago he was also involved with the re-design of Randpark’s other course, Bushwillow (the old Windsor), which has been an unqualified success. On behalf of Nicklaus, he is currently busy with 14 projects in Asia all at various stages of design and construction, and he commutes regularly to China, Japan, Cambodia and Vietnam. Although the course revamp is complete, Randpark experienced the worst flood in living memory just last month after a deluge of rain in a short space of time. Bridges on the course were washed away and damage was extensive. A clean-up project will take a while to complete, according to project manager Tom Buckle. “You know,” he said, “the very day before the flood I said to myself that we had finally finished and all was well. Then we got the rainstorm and the massive damage and I felt like I was a tractor with a flat tyre. We’ll get it right, though, and fortunately the course itself is fine. Contact Randpark Golf Club for more information about facilities, membership, event venues, The Brewery and Creek 9 mashie course.